If you follow us on Twitter you’ll know that the Maude & Fox team have been busy working on some new items. 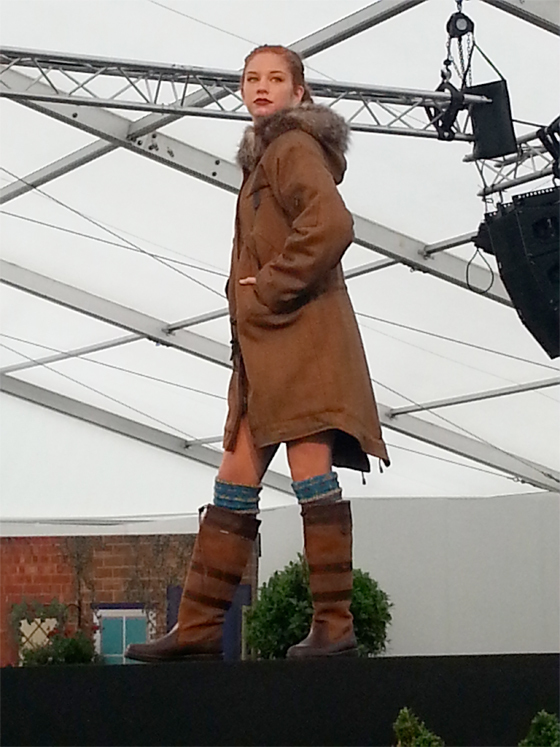 Making its debut at the CLA Game Fair will be our brand new Nosy Parka. It features a rusty brown tweed with a bottle green quilted fleece lining. It has a looser fit with drawstring details around the waist and tail – perfect for keeping snug and warm once the A/W season arrives! Be one of the first to purchase a Nosy Parka. 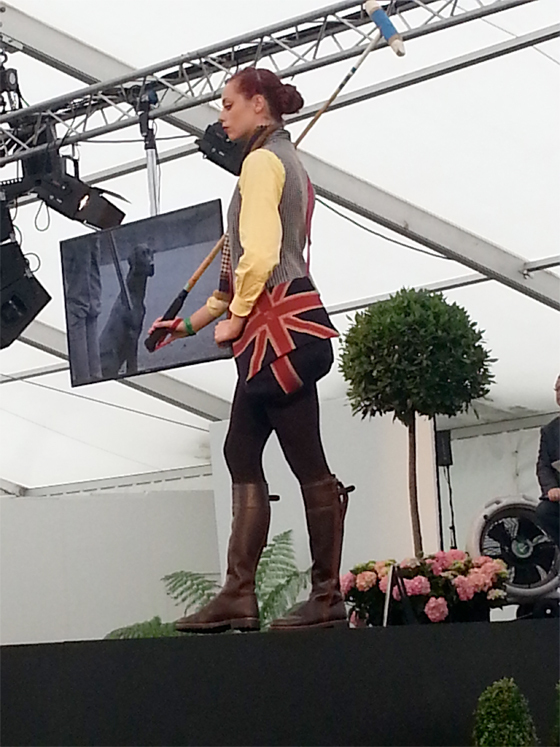 Snap one upat the the 2014 CLA Game Fair or purchase online via this link. 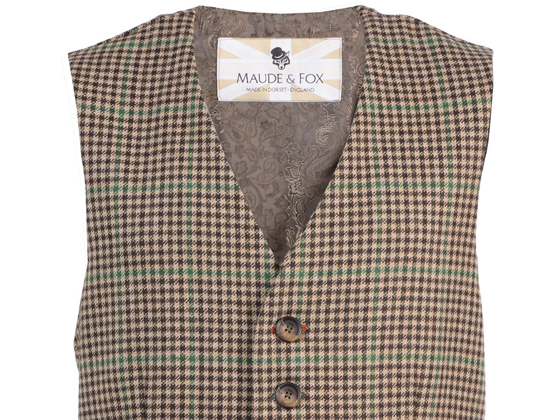 Be dapper in a Houndstooth Tweed Waistcoat from Maude & Fox. Woof Woof! Scottish Houndstooth tweed makes this ‘Winston Waistcoat’ a stylish staple for any occasion. 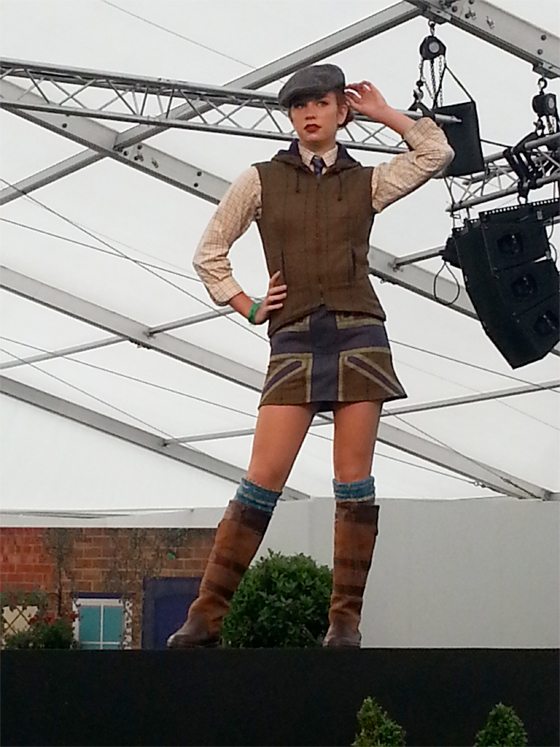 This tweed waistcoat is a prefect match with jeans, with shorts or even with a shooting jacket. Small details like a different coloured top button hole and a tweed jigger at the back set it apart and make it a joy to wear. Linings vary but all are in keeping with the style of the tweed waistcoat. 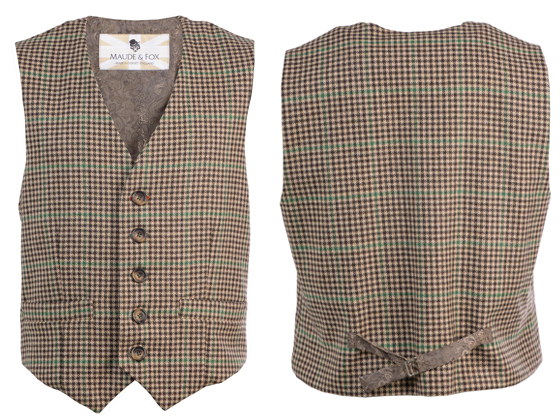 The Winston Waistcoat from Maude & Fox is stylish, smart and practical. Prices start at £199. If you need a tweed waistcoat in your life (and you know you do) you can buy online here, or pick one up at our next event. Enjoy the perfect cup of tea with the latest in the Maude & Fox accessories range. 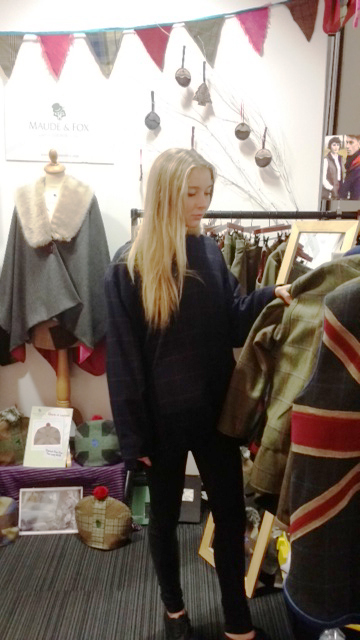 Made from British tweed and lined in fleece to keep your tea warm. Our tweed tea cosy is even topped off with a pom pom for ease of use! The Patriot Pom Pom Tea Cosy being worn in style at The Sherborne Castle Show by Richard Hall of Oscars Winebar in Crewkerne. 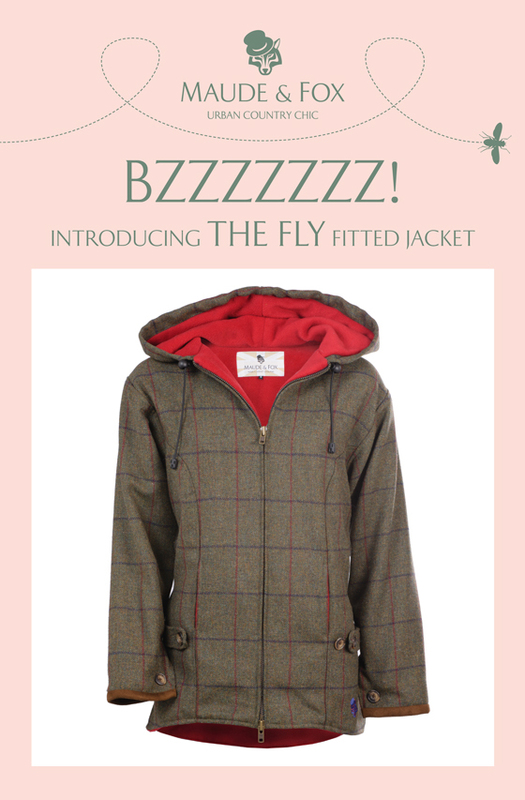 He also has a gorgeous matching tweed hoodie! 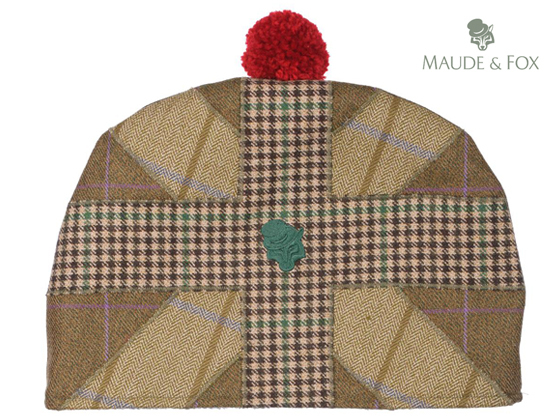 All Maude & Fox tea cosies vary in tweeds and colour, but they all look terrific in tweed. A tweed tea cosy also makes the perfect gift. Although some people may need reminding that they’re supposed to keep your tea and not your head warm. (We have a Patriot tweed cap for that job). Go on, have a cuppa! The Maude & Fox Patriot Pom Pom Tea Cosy costs £39.95. Shop now. 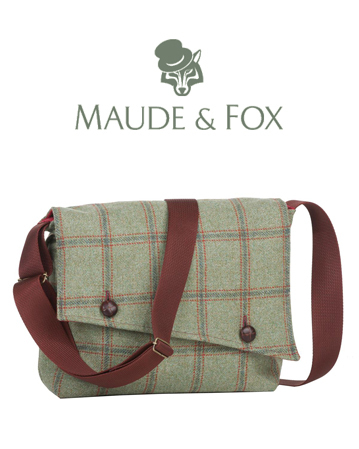 Introducing the latest accessory from Maude & Fox, our Tweed Messenger Bag. Is there a more stylish way to carry around your belongings?